I am totally grateful for the overwhelming response received for this new workshop. Besides the inaugural session in Singapore on 28 April, the first repeat class on 12 May (also in Singapore) is also fully booked up. In responding to requests for additional seats, we’re adding in a second repeat session on 19 May, Sunday, 10am to 6pm. The group size is limited to 15 for a more intimate and interactive experience for all participants. 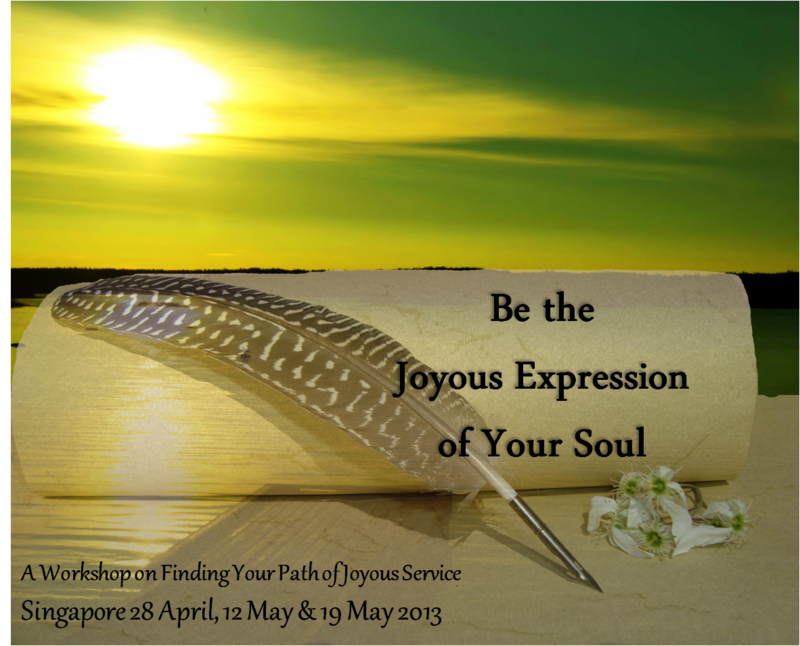 Program and registration details at Joy Singapore. If you wish to join this learning journey to actualise your highest potential as Joy, we truly welcome your Presence. [This workshop is also available in Hong Kong on 24 May 2013, Vesak Full Moon. Click Joy Hong Kong for details]. Yes !!! Please count me in …!